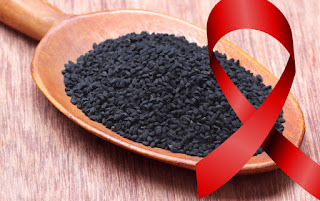 The tips in this chapter are based on knowledge gained by people living with HIV / AIDS in terms of remedies and herbal treatments. The authors of this chapter does not claim to have the technical competence to endorse their therapeutic efficacy. Health and nutrition, many communities have their own knowledge based on local traditions and culture. It is important to understand and be sensitive to these popular beliefs and the many types of traditional care available. They represent an alternative to traditional general practice and will be the only option for many people. All external medical recommendations that people receive will be compared to their cultural practices and the recommendations of their traditional healers. People will only take action if the recommendations they receive appear to make sense to them and bring them something. Some traditional food beliefs and practices may be unnecessary. It is important to understand local practices and explain to people living with HIV / AIDS and to traditional healers when and why such practices should be avoided. Nevertheless, the good traditional practices that provide readily accessible remedies, effective and cheap to be identified and promoted. Traditional treatments differ greatly from one region to another and are often very specific to a location. Therefore, locally recognized and available treatments should be considered and discussed their advantages and disadvantages. Information can be obtained in clinics, health centers and support organizations and local information of HIV / AIDS. In some countries, associations of traditional healers may also have additional information. The treatment of the disease often generates frustration among people with HIV / AIDS. People with HIV / AIDS often have many questions about the treatment of the disease. HIV / AIDS is a new disease, so far it has not been proven that traditional medicines can treat HIV and cure AIDS. However, some traditional medicines can help treat many symptoms of opportunistic infections that are a consequence of AIDS. While some of these drugs can certainly be helpful, others can be dangerous because they can do more harm than good. They can be expensive and jeopardize further the family budget including the food budget. They can also lead to discarding of certain foods. So it is always recommended to discuss treatments with a health worker or nutritionist and avoid any treatment or practice such as fasting, which could possibly reduce food intake and cause weight loss. Herbs and spices can aid digestion, stimulate appetite and preserve foods. A list of these herbs and their benefits from people living with HIV / AIDS is given in the table below against. They will not have the same effect on everyone. People can try these herbs and decide for themselves whether they help or not. They can also learn about other remedies used in their country and they want to add. Remember that herbs and spices should be used only in moderate amounts. Too much can cause problems and have toxic effects; moreover, the function of the herbs and spices will not be increased. They can not replace healthy food or a substitute for a healthy, balanced diet. Powder used in rice, cereals, etc.